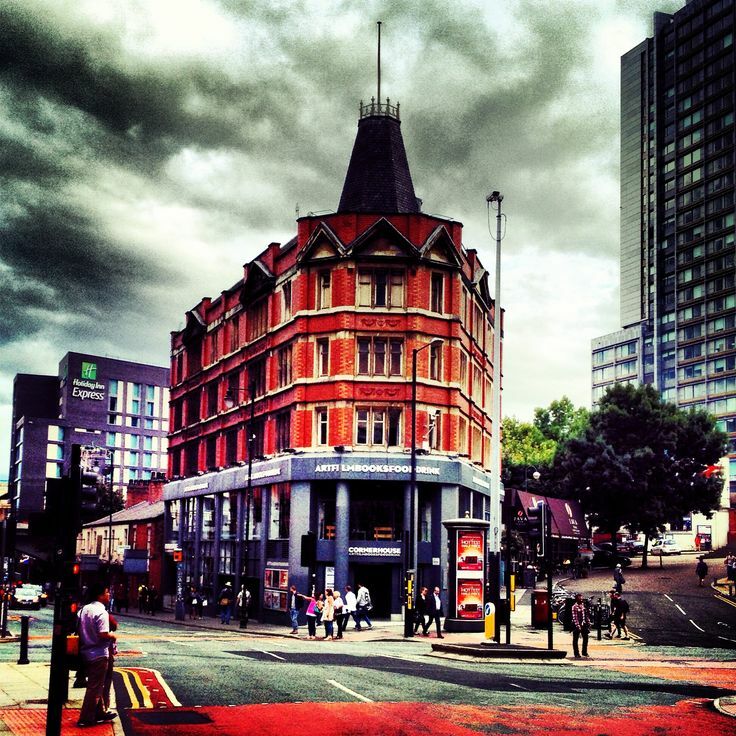 I have a long history with The Cornerhouse in Manchester. Years ago I used to work at the Palace Theatre across the road from The Cornerhouse. Sometimes, when I was working a matinee and an evening show, I used to pop across for a soup and a salad for tea. Before the Internet they used to have a really good noticeboard for all the cultural activities in Manchester. Now it's just a white painted wall opposite the toilets. I still think it would still be good to have. I also used to wander around the art gallery as well as go to see the odd independent film at the Cinema. Admittedly never any of the foreign films as I hate reading subtitles and end up missing the action. Weirdly I'd rather watch a foreign film dubbed rather than subtitled so I can focus on the images and action. This place is a stalwart of the Manchester cultural scene with it's cinemas and galleries. It's really worth checking out the cinema listings regularly as they sometimes have after show Q&A's with the film makers. We've been to a couple and they are really good. They also run cinema and arts courses, which are worth having a look at. It has a great little shop that sells books, magazines and cards. Definitely the place to pick up that obscure arts magazine that WHSmiths don't stock. I think they would do well if they sold some interesting sweets for the cinema goers. This is the only cinema I know that doesn't have a confectionery stall. Admittedly there is a little Sainsbury's opposite so there isn't far to walk to get stuff. The bar is good and stocks interesting beers and upstairs is a relaxed restaurant. I haven't tried the restaurant in recent years, but the cakes look delicious. You also get fab views of Oxford Street from there, so it's good place to people watch. I've struggled to get a decent picture of The Cornerhouse. You practically have to stand in the middle of the road to get one. Not wanting to get hit by a car (done that before - not recommended) I managed to get this shot outside the Palace Theatre leaning over the traffic barrier. On Instagram someone pointed out my photos tend to be moody. I never realised this, but it's because I like to have cloudy skies as they give added interest to the pictures. The Cornerhouse will be moving in a few years as there is a new arts centre being built off Whitworth Street West on First Street. I hope they can do justice to The Cornerhouse as I think this place is wonderful as it is.